And the Lion goes to…..
Technology. 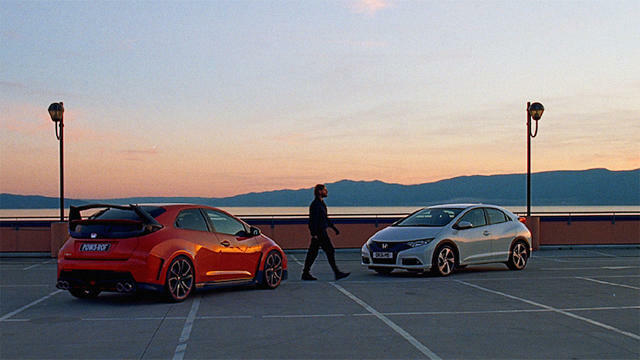 Yes, believe it or not, if there was one theme that stole the entire spotlight at the Oscars of Advertising this year, it was - Innovation with Technology. Oh yes, how did India fare? INDIA: It happens every year, corralling every species of marketing and creative folks from all around the world, rewarding/autopsy-ing/marveling at the oddest pieces of work that the craft called advertising has been baking. And when the noise and dust on the carpets at the Cannes Lions International Festival settles down, it allows those who could not make it to France, a peek into an outstanding showcase of innovations that the world’s creative and advertising industries spilled blood over. But what was new or unusual about the big ad-war this year? If you whiz by some awards-winners and top-contenders, you get a Je Ne Sais Quoi for sure. Try out. For instance, who bagged the Titanium? A campaign for Emoji (remember your smiley-icons on phone)-based pizza ordering platform from Domino’s, and created by CP+B Boulder. Take another one. What went behind the magic of the much-fussed-and-fawned-over ‘The Other Side’ Honda masterpiece? Thrill-packed interactive video-switching (between a daredevil car racer and a bored father dropping his kids) with mirror scripts of a car chase running simultaneously – if only you could skip a breath and press that R.
The film lets you be a part of this ingeniously-delivered story of the same man living two very different lives, allowing you to switch, whenever – at-whichever point you want, between the two narratives at the push of the R key. So one time you can be an everyday dad, and the moment you press R you are whizzing away from the cops. Simply wicked, isn’t it? Or how about a really eccentric and opposite brief that no marketer in a vanilla world could give its agency – Spread the word but hide it discreetly. Yes, the Red Light Application task for Y&R Team Red Istanbul that has now become a very new radical kind of case study after this year’s Cannes, was not so high-decibel to start with. The idea was to tackle the growing menace of domestic violence in Turkey by equipping women with an app which you could just shake to alert your friends and beep your location. However, the irony was that the more people (read men) heard about the app, the more it could dilute the app’s power. So how do you talk to women and slip in the message so subtly that there is no possibility of men, right around your target-audience – the women, to even smell a little suspicion? Vodafone and its team created the Red Light App and since the team couldn’t use TV, outdoor or radio to promote the app, messages were sent to women at the end of cosmetic tutorials online or through ladies-room posters or quintessentially-female products like wax strips and underwear. These women specific videos had embedded the video information in them in so smart and clever ways that it was nigh impossible for any men to catch the word about the app. For instance, a woman starts to talk about some women specific information like eyeliner-tips or cooking-recipes and towards the middle of the video woman starts talking about this app, giving information secretly. It also ensured that if men stumble upon the videos, they are veered off to other videos like cars or men-only topics. Mobile-enabled voice promotions were also designed in a manner that if a male voice is caught on the other end, the message is quickly changed to some other topic. The app had been activated over 103,000 times and downloaded by 254,000 women in Turkey at the last count. Did you spot the pattern? Yes, Corrrrect! Technology, clearly was more than visible and much beyond such winning media campaigns at the Cannes Lions International Festival of Creativity this year. What floated faster than beer? Cannes this time was equally high on other avatars of technology (by the way, there was even a discussion on cyber-bullying from Monica Lewinsky) and it was not just the juries who were immersed in technology’s intoxication. Words like ‘analytics’, ‘insights’, ‘creative data’, ‘artificial intelligence (AI)’ came up as regularly and fluidly as flutes of champagne in evenings and mornings alike. First-hand witnesses to the fest are already admiring how schmooze-parties were replaced with more niche-sessions and gatherings this year, allowing for more circulation of knowledge than liquor. Speakers like Mike Cooper and personal robots like Pepper or Google’s Cardboard work or SapientNitro’s VR (Virtual Reality) demo (for product testing capabilities when consumers are out shopping) stirred up VR and AI to another level. While Google Cardboard won the mobile Grand Prix, other prototypes allowed visitors a walk-through at immersive shopping experiences. Evidently, the last few days at the Palaise saw other umpteen examples of lateral, and at the same time, simple work making a cut at Cannes. Like the favourite in Innovation shortlist – What3words, the giant grid that stacks together 57 trillion 3m x 3m squares to cover the entire globe, with the intent of providing the planet with the simplest way to communicate location. Here, each square has been pre-allocated a fixed and unique 3 word address and with this new, off-tangent way of addressing systems. Now these pioneers claim they wanted to solve the problem of people unable to report crime; unable to get deliveries or receive aid; or unable to exercise many of their rights as citizens because they simply have no way to communicate where they are, and hence this idea. On other fringes of technology, there were social contenders like P&G/Always #Likeagirl done by Leo Burnett Toronto, there was Apple’s Shot on iPhone 6 (from TBWA\\Media Arts Lab Los Angeles) that won in the Outdoor category and in the (yes, finally we come to that) Cyber category there was ‘Under Armour: Gisele Bundchen – I Will What I Want’ from Droga5 New York. 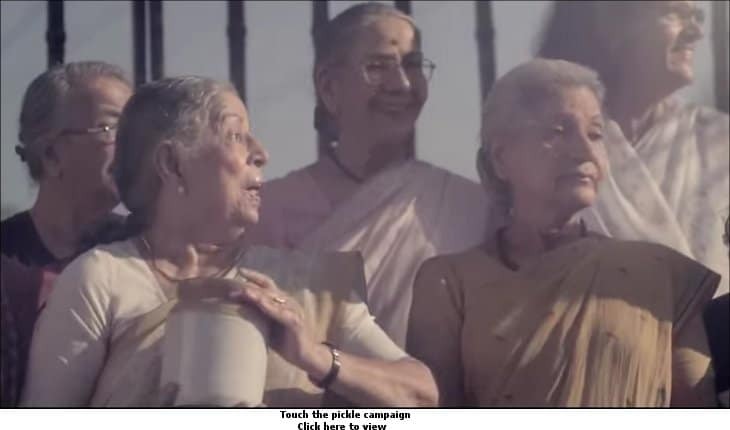 Swinging specifically at the ‘Glass’ category where India bagged lot of applause for ‘Touch the pickle’ entry for Whisper Sanitary Napkins, he says that it’s about time that we look at women-segment beyond the PSA or charity-lens. “They make 50 per cent of your consumer-target so it’s very fair and relevant that the industry is breaking free from male-dominated orientation.” He was particularly proud of India’s gongs but he also minces no words to remind that India’s show this year was anaemic in comparison to last year’s 30+ tally of six Golds, 13 Silvers etc. We took 12 Lions at the 2015 edition of the Cannes Lions. “In India, Cyber or Digital would still mean a TVC shrunk into a three-minute version for YouTube. Where is engagement? Plot? Story?” When Sridhar puts these poignant questions on the table, one can’t help but think of how Honda or Vodafone took ‘interactive’ and ‘subtlety’ respectively to new scales with their clever campaigns. Technology was the spine there and yet these and other works like ‘Lucky Iron Fish’ (for fighting iron-deficiency in Cambodia) in product design, show a strange pattern – Simplicity. There is nothing complicated about them, or about Sridhar’s own favourite – Volvo’s brilliant tweet campaign (every time a customer or prospect sees a car Superbowl ad, it tweets to Volvo, thus letting Volvo ambush every rival’s ad no matter how huge, impactful or attractive it is). Hopefully, we will be a force to reckon with at the Cannes soon, may be not next year, but may be not after ten years either. With a market and population that inhales mobiles and leapfrogging technology applications, we should be ideally leading the world, he opines. And we suggest that technology can be a big ingredient in mixing that coveted alloy of silver, gold and titanium in the coming years of fierce races that Cannes will throw up for sure. But till we bring in more Metal, let’s cheer for the Glass. Bottoms-up!